The organization’s programs improve student health knowledge, behavior, physical activity and school policies – without taking away class time. A new document management and collaboration system will help the nonprofit reach more students. Reach more schools and students through a new document management and collaboration solution. To enable HealthMPowers to expand their mission and outreach, they need to implement Office 365 SharePoint Online and OneDrive for Business to create a new Document Management and Collaboration Solution. HealthMPowers was founded in 1999 to promote healthy eating and physical activity in schools using the evidence-based guidelines established by the CDC. Providing schools with the opportunity and resources to get students active is an important part of changing the culture. As an evidence-based public health program, HealthMPowers has established a proven track record over the past decade of improving student health knowledge, behavior, physical activity and school policies—without taking away valuable class time. The HealthMPowers program is a three-year, school-wide intervention that includes training, direct services and resource materials that are presented in a memorable and interactive format to promote healthy behaviors and environments in schools. In addition to the three-year program, HealthMPowers also offers a variety of stand-alone resources and teaching aids correlated to Core Curriculum Georgia Performance Standards to easily integrate additional health education and physical activity in the classroom. 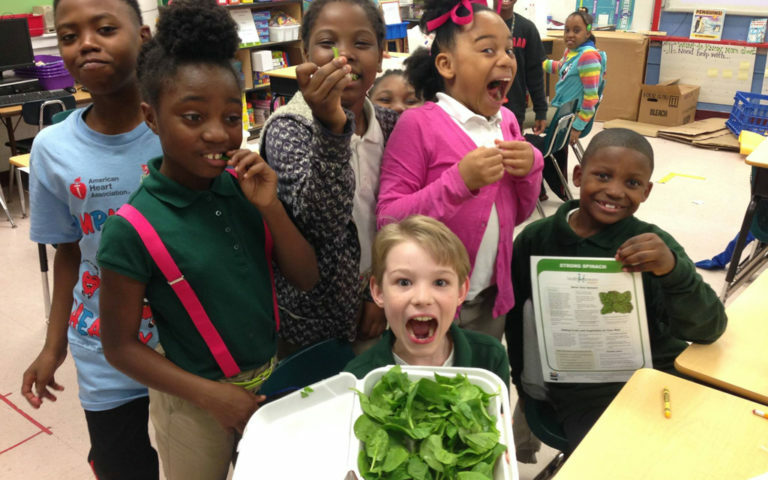 During 2014-15, HealthMPowers served a total of 442 schools, 3,099 teachers, and 265,806 schools through the multi-year elementary school program, the child care pilot program, trainings in partnership with the Georgia Departments of Education and Public Health, and Georgia SHAPE. HealthMPowers’ team members provided approximately 2,762 hours of direct nutrition and physical activity, while approximately 45,753 additional hours of nutrition and physical activity instruction were provided by respective participating school staff using the resources, lessons and training provided by HealthMPowers. Results from both the additional instruction and increased physical activity include an 87% improvement in student nutrition and physical activity behaviors; a 69% improvement in student’s PACER fitness test which measures aerobic fitness; and 78% of students maintaining or improving BMI percentiles.